Builder’s Flooring and Design is a great place to start your next home design project, whether you are remodeling or building a new home. We have a 4000 square foot professional showroom that showcases our wide variety of flooring, cabinets, countertops and closet organizers. 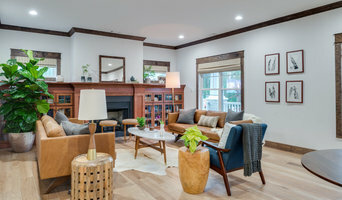 Our designers have years of experience and can help with the selection process as well as provide creative design assistance for your dream space. East Valley's Premier Floor Covering Provider! 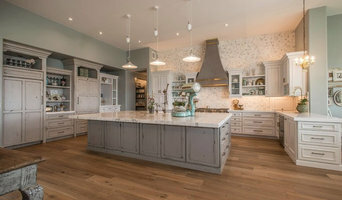 Flagstaff Expert Flooring Design and Installation- Visit our Showroom! Licensed Flooring Contractor Serving Apache County For Over 20 Years! If you are unfamiliar with the many different decorative options that exist for concrete, consider what a transformation that can be accomplished with the proper products and skills. ▪ Sealed Concrete ▪ Stained Concrete ▪ Decorative Concrete Overlays ▪ Epoxy Garage Floor ▪ High Performance Coatings ▪ Metallic Epoxy ▪ Quartz Floors ▪ Logo, Stencil, Decorative Saw cuts Products can be applied in an unlimited combination of patterns, colors, textures, and designs. They can be applied to many concrete surfaces; new or old, residential, industrial or commercial. We have the ideal solution whether you are looking for a new option from the ‘boring carpet or tile’ for the interior of your home or business, resurfacing that old unsightly patio, or just want to add that finishing touch to a driveway, garage floor, or walkway. 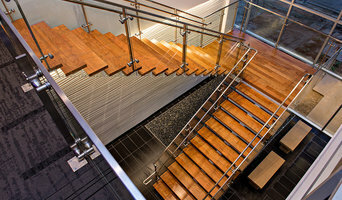 Rubber Flooring Inc is America's largest specialty flooring company. Whether you're looking to install home gym flooring or kids play mats, we have you covered! Alyshaan Fine Rugs, located inside Scottsdale Design Center and Hillside Sedona Shopping Center in Arizona, has the largest and finest area rugs inventory in the Phoenix Valley. With over 3200+ fine handmade rugs including Persian, Antique, Oriental, Tribal, Modern, and Contemporary rugs woven purely with wool or silk. For those difficult sizes or colors, or that room that may just need something extra special, we have the best custom rugs program in the country. Alyshaan Fine Rugs prides itself on providing a drama and gimmick free atmosphere without ever having a sale, just the highest quality area rugs at the best prices everyday with the ultimate in service and guarantees. Yavapai's Vast Selection of Carpet, Tile, Hardwood & Stone Flooring! Where can I find the best Phoenix, AZ carpet fitters? A carpet professional will often both supply and fit carpets. A full service carpet professional can offer everything from a catalogue of carpet colours and pile options to carpet accessories like underlay, gripper rods and door plates. Carpet fitters will need to measure your home and they will provide you with an estimate for materials and fitting service. Similarly, if you need someone to help with carpet repair there is a dedicated carpet professional in Phoenix, AZ just a few clicks away. Check the reviews of carpet fitters in Phoenix, AZ and look out for those who are members of trade organisations such as the NICF (National Institute of Carpet & Floorlayers) or the National Carpet Cleaners Association (NCCA). On Houzz you can search for flooring specialists and carpet fitters in Phoenix, AZ and start to shortlist companies by adding your favourite images to an ideabook. Think about the style of flooring or design of carpet that might best suit your room and then approach the most relevant experts who can then fit your carpets, lay tiles, install hardwood floors or show you how to fit laminate flooring. Your carpeting and flooring professional might work closely with Phoenix, AZ contractors, interior designers and others in the home building and home improvement industry. Here are some related professionals and vendors to complement the work of carpet & flooring: Interior Designers, Design & Build, Specialist Contractors, Main Contractors, Home Builders. What do I need to ask flooring manufacturers, installers and carpet fitters in Phoenix, AZ before I hire them? How long have so been in the flooring business or working as carpet fitters in Phoenix, AZ? Find carpet fitters and flooring experts on Houzz. 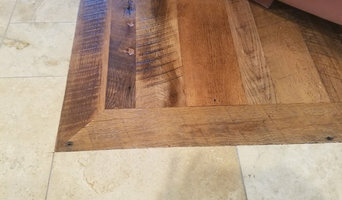 Narrow your search in the Professionals section of the website to Phoenix, AZ carpet fitter and flooring professionals. You can also look through Phoenix, AZ photos by style to find a floor design you like, then contact the floor companies or carpet fitters in Phoenix, AZ that worked on it.